You can enter as many times as you like during the tournament qualifying heats. Semi-finals and Final heats take place on 23 March 2019. 30 semi-finalists will play it off to qualify for the 5 seats available in the Final Round. The 5 finalists will play for their share of R50,000 with the winner guaranteed R25,000 in cash! Enter as many times as you wish and increase your chances of being semi-finalists! The number of entries is unlimited, and is subject to the availability of heats/seats and the prior Entry Purchase(s). Registration for participation shall be in person and in accordance with the advertised dates and times, which will be available through the casino’s marketing and/or communication mediums used for the tournament. Late entries shall not be accepted. Registration for qualifying heats of the tournament will be on a “first come first serve” basis and machines will be allocated in sequential order. Players shall not be substituted during qualifying heats. In addition, players’ “credits” shall not be pooled with or transferred to other players’ credits. These credits are for tournament purposes only and will be used to determine player ranking. Specifically the credits concerned do not have any actual monetary value and cannot be exchanged for cash or anything of value. The Semi-finalist will be selected from the top ranked credit earners from their respective single entry. A leaderboard will be live and updated after every qualifying heat. Advertised prize values are the minimum values that will be paid out. Hemingways Casino management reserves the right to apportion surplus entries at its sole discretion. Players will be limited to 1 seat per heat during the qualifying heats stage. Players who are eligible for multiple seats in any semi-final/final stage may nominate another person(s) to play on their behalf by completing the casino’s proxy form (available on request). A separate proxy form is to be completed for every nominee selected. Credits earned by the player and nominee(s) under these circumstances shall not be pooled. The Proxy may not be a co-participant in the stage/stages for which he is acting on behalf of a participant. If the signed and completed proxy form is not received by the Tournament Director at the start of any final stage, then the player concerned will forfeit the additional seats accordingly. Five finalists will be selected from the top credit earners at the end the semi-final stage in rank order in line with the casino’s quota. Refer to advertisements and POS for quota or enquire at the casino customer service desk. Slots machines may be operated in a tournament or normal operating mode, as the case may be; hence any winnings accrued will not be paid out as casino winnings despite the fact that corresponding winning combinations may be displayed at such machines. In the event of a tie credit score when determining winners or finalists at any of the relevant stages, each player (or nominee) concerned will be required to select a playing card (Ace is low) from a set of cards. The player/nominee with the highest card value will be determined the participant with the higher score. 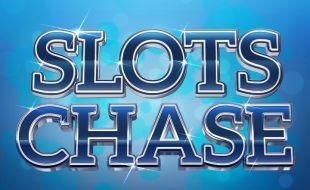 In the event of a malfunction of a slot machine during any qualifying heat, the affected players will be given the first available seat in a future similar heat if possible. A refund will be made if these players cannot be accommodated in such future heat under these circumstances. In the event that the tournament system (where applicable) experiences any technical difficulties, the entire heat will be restarted. If the afore-mentioned technical difficulties are not resolved within a reasonable period then the relevant heat will be postponed. In the event of the occurrence of any of the above-mentioned malfunctions during any stages, the affected players will be given the first available seat in a future similar heat within those final stages concerned. If such future heats are filled to capacity then additional heat(s), as may be required, will be announced whereby the participants will draw seat numbers. In the event that any malfunction cannot be resolved within a reasonable period, then the relevant stage/heat will be postponed. The start of each heat and/or stage will be announced. Players who are not present when the heat or final starts will forfeit their seats and no refunds (where applicable) will be made. Whilst every reasonable effort will be taken to ensure the accurate recording of rankings/scores, the bonus shall remain with participants to ensure that their rankings/scores are correct at all times. The casino reserves the right to make the necessary corrections as soon as it becomes aware of any founded discrepancies, which corrections could change the rankings/scores of participants and allocation of prizes.